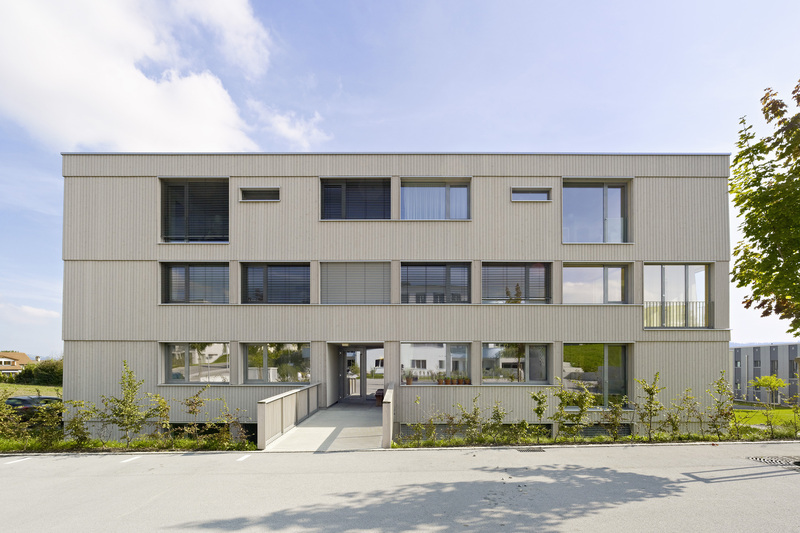 In the heterogeneous new housing estate of Wiberg in St. Erhard, four timber construction buildings with a patinaded facade have a pleasant, calm and reserved effect. The floor-high scaling reflects fine tectonics with exceptionally precise detailing of the facade; the balanced division of glass and timber renders the buildings with a timeless elegance. The buildings have a massive plinth floor adjusted to the sloping terrain. They have a direct access to the garden, two upper floors and one attic floor with a spacious roof terrace. An underground parking is optimally integrated into the complex; while the direct access to the staircase with a barrier-free lift ensures a maximum level of comfort. 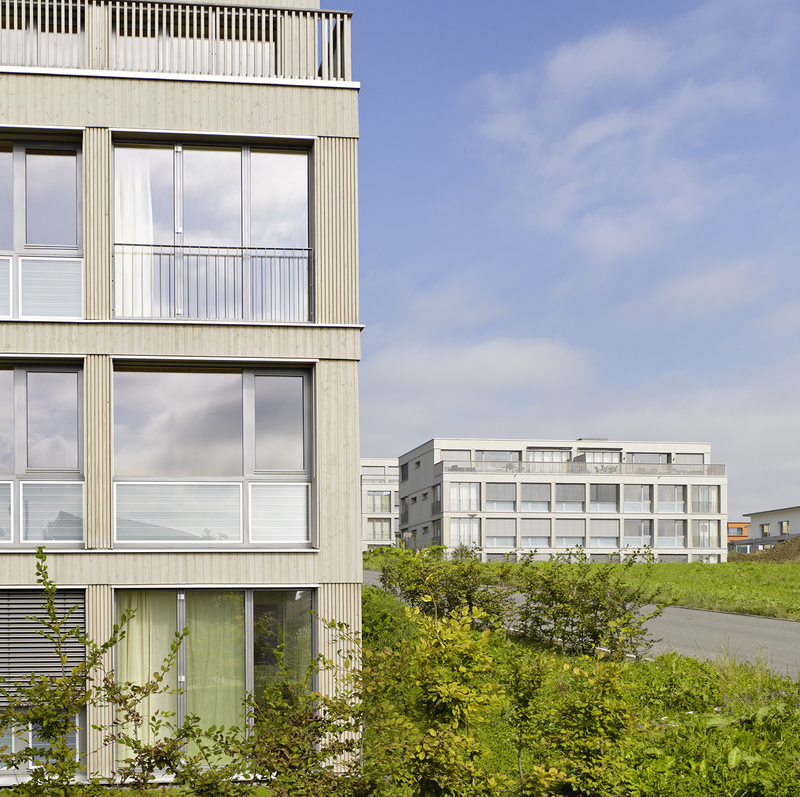 The multiple-family houses comply with the Minergie-P-Eco standard, which guarantees the maximum life quality for the occupants in addition to the low energy consumption during the construction of the building. The use of the ecological construction materials has a positive effect on the indoor climate. Only construction materials were used that exerted a minimum load on the environment during their manufacturing and disposal. 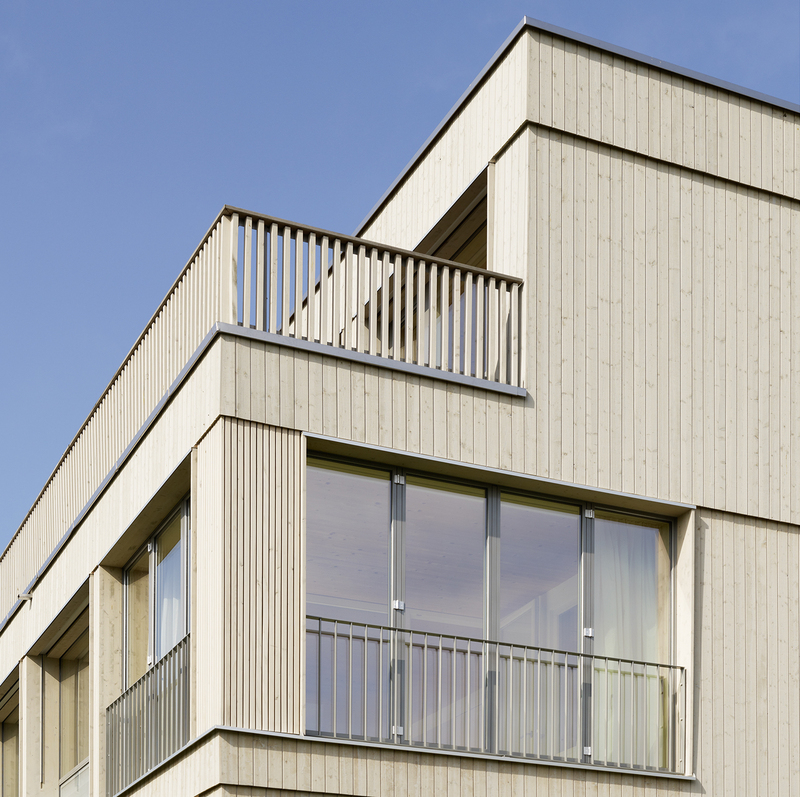 The timber structure ensures high thermal insulation. Windows are equipped with triple glazing and additionally with solar energy storing glazing system GLASSX on the south facade. Glazed loggias support the passive-solar system, simultaneously offering unique living comfort during every season. High quality building services with comfort ventilation and heat pumps complete the energy concept. Tenants profit not only from the high living quality but also from low utility costs which remain constant. 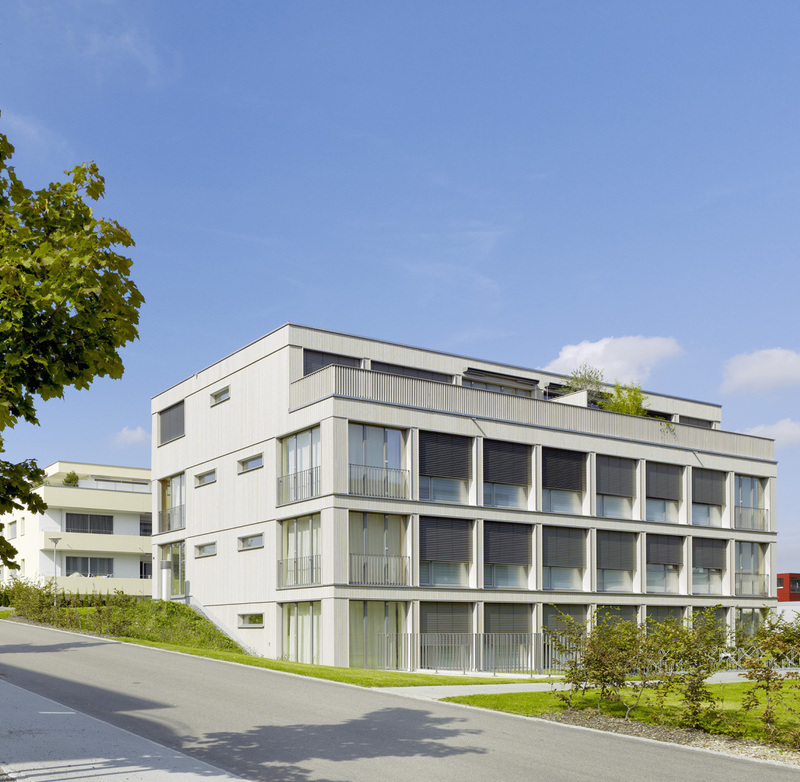 The four multi-family houses demonstrate a balanced mix of apartments ranging from area-optimized two and three-room flats, four and five-room apartments ideal for families to luxurious Attica apartments. All housing units are extremely well-lit thanks to the large windows and the bright used materials.